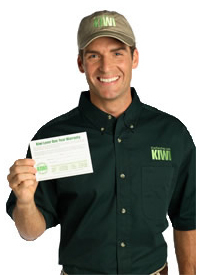 With the KIWI Lover One-Year Carpet Cleaning Warranty, you’ll never worry about stains or spills again. Even if you just had your carpets cleaned last week, this incredible warranty provides unlimited visits at the low price of $4 per room, plus a nominal trip charge. Just give us a call whenever one of life’s little messes happens and we’ll schedule an appointment to come make your carpets shiny and new again. From pet stains to food spills to high-traffic areas, we all have those occasional accidents that leave our carpets looking a little run down. 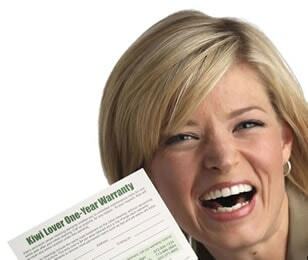 But as our KIWI Lovers can attest, our one-year warranty eliminates the stress that these messes can create. Did your dog track mud through the house? No problem – call us up and we’ll have it clean before that big party you’re throwing this weekend. We’ll come as needed throughout the year to give you affordable, fast and effective carpet cleaning services from our experienced and professional carpet cleaners. Call and schedule a full carpet cleaning service, which is comparable or less in price than what other carpet cleaning companies charge without a warranty. After the initial carpet cleaning, you will receive a certificate entitling you to unlimited use of $4 per room cleanings for a whole year. All you need to do is call, and we’ll come back to clean at your convenience. For an entire year we’ll come back out for just $4 per room, plus a nominal trip charge, to clean the carpeted areas covered under your warranty, plus a small travel charge. It’s really just that simple. All customers who spend $120 or more on their initial professional carpet cleaning service will automatically receive the warranty. On the initial visit we will move all necessary furniture in order to clean your carpets with a few exceptions, such as heavy bookcases filled with books, large furniture such as china cabinets, pianos, dining tables, and dressers, as well as breakable items such as electronic equipment (televisions, stereos, VCR’s, computers, etc.) Warranty cleanings include the same royal treatment as the initial cleaning, without a vacuuming or the moving of furniture. We maintain your warranty areas, not covered by furniture, for only $4 per room, plus a small travel charge each visit. 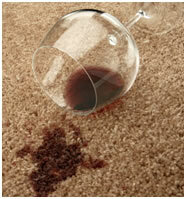 Our carpet cleaning prices can’t be beat! Do you need great cleaning with unrestricted maintenance visits? Our carpet cleaning warranty is the only affordable way to maintain all your carpet and to help keep your home looking healthy and beautiful. Our team of professional technicians will carefully pre-spot, clean, and groom all your areas so your home can maintain a clean and fresh appearance throughout the year. And when it comes to our services, our customers will be the first to tell you how happy they are. Call KIWI Services to schedule an appointment today!